Whether driving or flying, we suggest leaving early in the day to avoid traffic and long lines. If your flight is delayed or canceled, you will still have plenty of time to catch the next flight and make it to your holiday travel destination on time. TSA advises to wait to wrap gifts until you arrive at your travel destination in case they need to unwrap your present in order to inspect it. We recommend shipping your presents ahead of time if possible. Make sure you checkin as soon as you’re able and opt for the mobile boarding pass when it is an option. This will save you from having to wait to print your boarding pass at the airport and give you a few minutes back to spend with your family over the holidays. Pass on the bag checkin process, ensure that the airlines don’t lose your luggage (or Christmas gifts) and skip waiting for your suitcase to come down the conveyer belt by avoiding checking a bag if at all possible. Crying babies, the overly friendly lady sitting next to you, the guy who has had too many in-flight cocktails - escape them all by putting on your headphones and zone out of your stressful environment. Don’t let hunger get to you! Pack snacks to keep you on top of your game and to avoid overspending at the airport. Make sure you plan ahead for unexpected circumstances. Arrive to the airport with plenty of time to pass through security and book extra time between your connections. Delayed flight? Lost luggage? Take a second and breathe. Before you know it you will be spending the holidays with your friends and family and your travel experience will make for a great story! 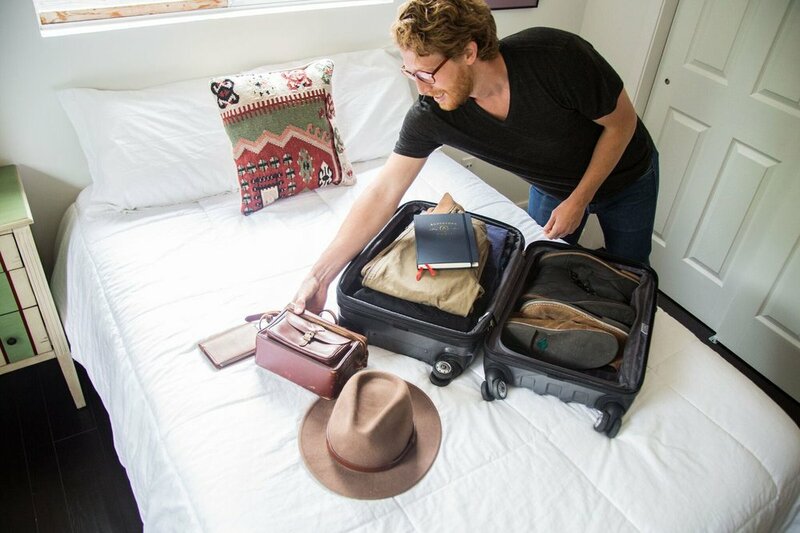 Need help planning your holiday travel? 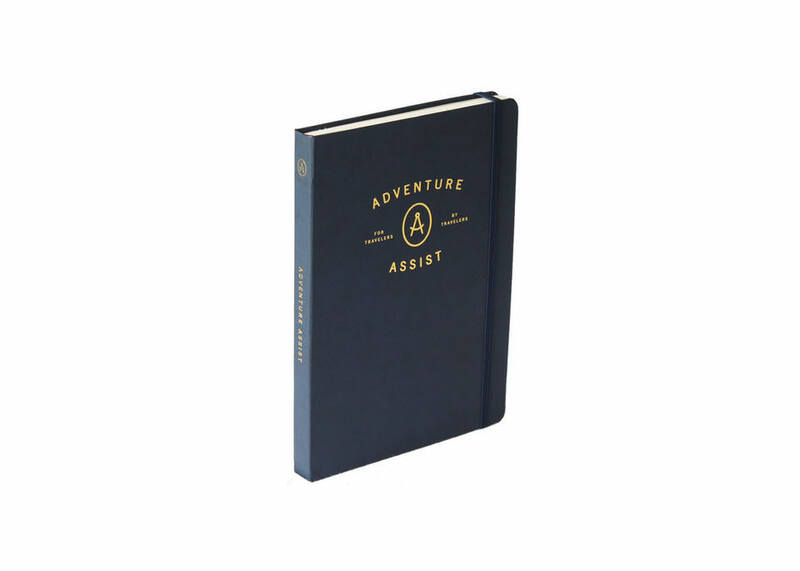 Get your Adventure Assist travel notebook today! Some towns in the U.S. go all out for the holidays, from ornately decorated town squares to Christmas carolers reveling in holiday cheer and much more. We searched for the best small towns to spend the holidays, coast to coast. Here are our top five picks. Always making the rankings of small towns with lots of Christmas spirit, Leavenworth is a great place to spend the holidays. This cheerful Bavarian town offers an assortment of festivities including the Christmas Lighting Festival, a sledding hill and sleigh rides through the woods. Throw in majestic mountain views and you'll feel like your in your very own winter wonderland for the holidays. This costal town in Northern California gets plenty of attention over the holidays. With an old-fashioned tree lighting ceremony and a parade of lights, the town sure looks the part. Add on the "Christmas at the Inns" event where several of the town's bed and breakfasts put out their best holiday adornments and open their doors with holiday music and treats. Finally, you won't want to miss the famous "Candy Cane Lane" for some of the best neighborhood Christmas decorations. Named Bethlehem on Christmas Eve in 1741, this Pennsylvania town is also appropriately referred to as "Christmas City" and is the perfect holiday travel destination. Take a carriage ride around town or check out the ginger bread house competition and exhibit, or even go on walking tour of historic sites on the Christmas City Stroll. Lastly, don't miss the Christkindlmarkt, one of the top holiday markets in the U.S. featuring vendors offering fine art and other unique items. There's no place to spend the holidays quite like Crested Butte. For one thing, you're sure to have a white christmas in this laid back ski resort town. After a day on the slopes, catch the lighting of the Christmas tree at Light Up Night and stick around to take pictures with Santa. On Christmas Eve, its tradition for Santa to ride down the mountain in a sleigh pulled by a snowcat at the Crested Butte Mountain Resort. Santa's sledding is followed by the famous torchlight parade performed by the Crested Butte Ski and Ride School. A special combination of German Christmas traditions and Texas hospitality, Fredericksburg is a fantastic choice for a holiday getaway. Explore the many boutiques, shops and art galleries on the festive Main Street, attend the Christmas tree lighting ceremony and be sure to catch the annual Christmas parade. But this year, instead of milk and cookies for Christmas, opt for wine and cheese on a tour of the many local wineries that make Fredericksburg a such a magical place to visit any time of the year. Plan your holiday getaway with an Adventure Assist travel notebook! Get yours today over on our SHOP page.